UK INDEPENDENCE DAY CANCELLED! 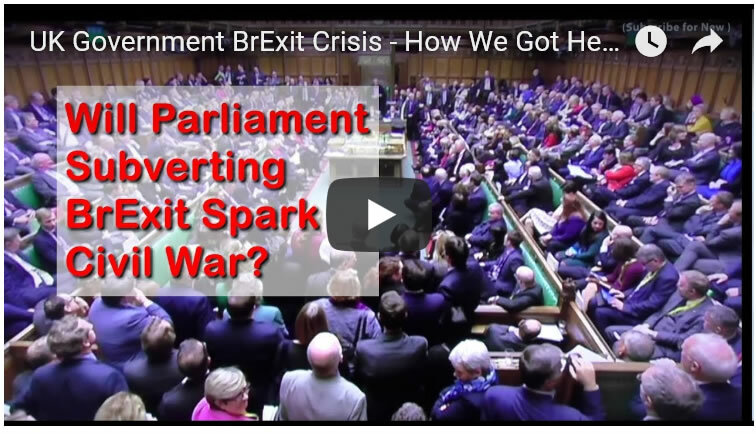 As Westminster SUBVERTS BREXIT! 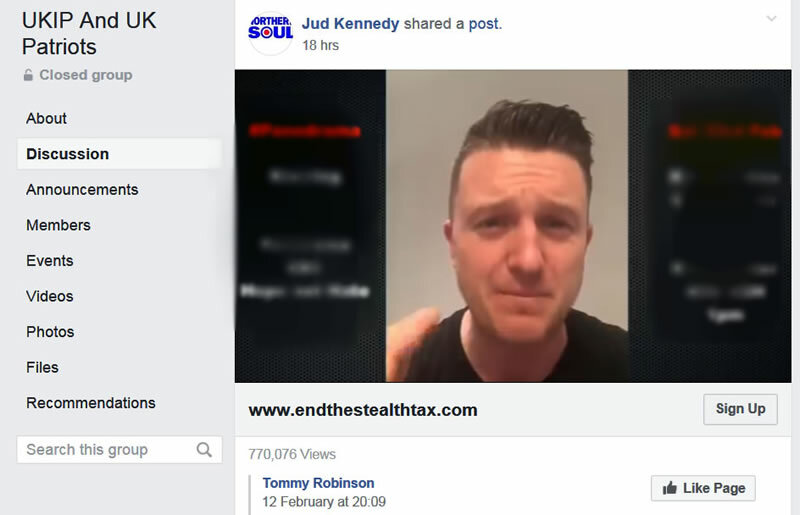 The past two years have been one of politicians doing what they are expert at doing, LIEING, LIES piled on top of LIES, piled on top of even more LIES, all sowing the seeds for the rise of the far right, the likes serial opportunists such as Tommy "fake name" Robinson trying to capitalise on Brexit. Just as did the expenses scandal, the Brexit scandal once more illustrates that most British MP's are primarily focused on furthering their own careers rather than what's in the best interests of the British people which was to execute the result of the EU referendum in a competent manner, for which they had 2 years following the triggering of Article 50 to implement, which at the time I laid out what the Government should do to execute a successful Brexit. Instead the remain establishment has deeply damaged British democracy by deliberately subverting BrExit which as I have often warned now puts Britain into a pre-civil war state, where a fixed 2nd EU referendum would ignite the march of millions of angry LEAVE voters into the arms of right and left wing extremists, the likes rump UKIP, and far worse who promise those who voted LEAVE the message of Britain INSTANTLY being able to LEAVE the EU. 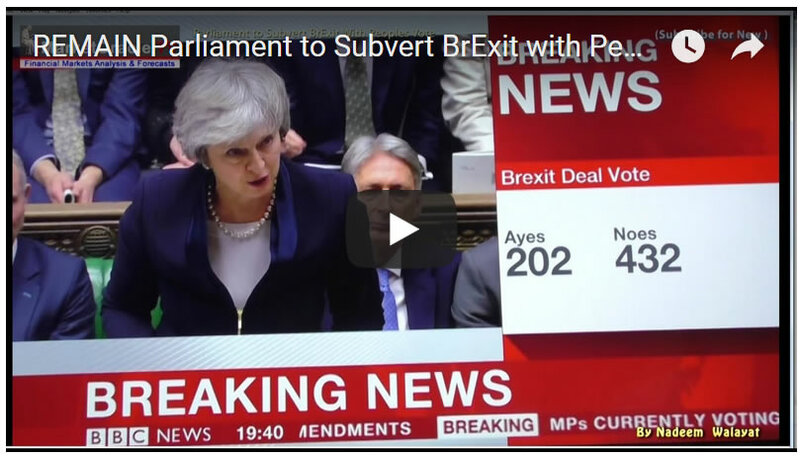 Thus today's REMAIN Parliament has effectively sowed the seeds for the destruction of Parliaments authority where as many as 10 million people will no longer recognise Parliaments authority after the subversion of their 2016 vote to LEAVE the EU, instead a blatantly FIXED second EU referendum is being engineered that would open pandora's box as the result will NOT BE TRUSTED. Today's Westminister chaos is for MP's to vote on Theresa May's horrendous deal that I liken to a 500 page suicide note. The withdrawal agreement with its Irish Back stab, And without the non binding political declaration as a precursor to the transition period negotiations. Perhaps the clowns in Westminister should have ditched the withdrawal agreement and just voted on the Political declaration! What's most likely to happen today? The Prime Ministers deal is likely to get voted DOWN for the THIRD time! Whilst the vote will be close. However crucially the 10 DUP MP's as of writing are NOT supporting the deal. That and perhaps a dozen ERG MP's which means that I just cannot see how May's deal could go through without the support of at least 30 Labour MP's where at the last count only 3 were willing to vote for May's deal. So whilst today's vote will be close, at this point in time I cannot see how it is going to pass. 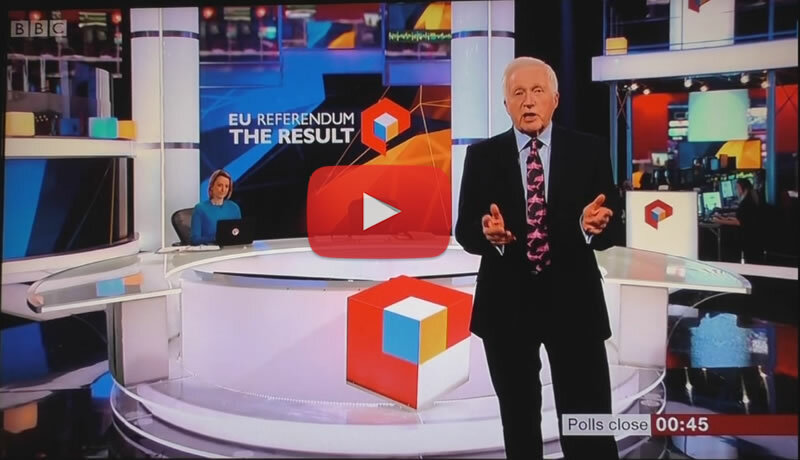 The bottom line is that the British establishment never came to terms with the shock result of the European Union 2016 referendum as at the time were certain that REMAIN would win, as the following video illustrates from the day of the vote that the Financial Markets, Politicians, Pollsters, Pundits and the Bookies ALL thought REMAIN had won the EU referendum. As pollster John Curtis stated shortly after the polls closed that "REMAIN had Won" for which he received a Knighthood which just goes to show how to the extent that the 2016 referendum was a clear cut case of the PEOPLE vs the ESTABLISHMENT. 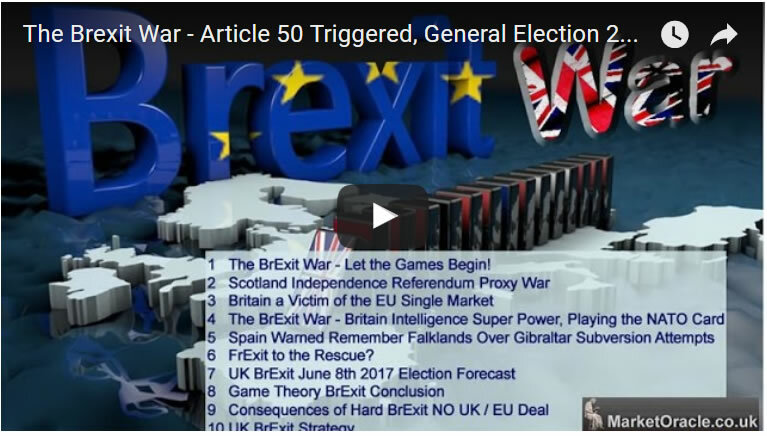 As I have often voiced the most probable trend trajectory that Britain is on is towards that of a 2nd EU Referendum, on which my view is that the establishment will ensure that they won't make the same mistake twice through a myriad of measures and tactics from intense mainstream propaganda to throwing money at LEAVE voting Labour areas so as to ensure that many of those marginal voters who voted for LEAVE would now vote for REMAIN as my following video of 20th Jan illustrates. So on the one hand we have a determined REMAIN establishment and on the other hand there is the rise of the far right who have attempted to commandeer Brexit towards their own ends by seizing control of the likes of UKIP. 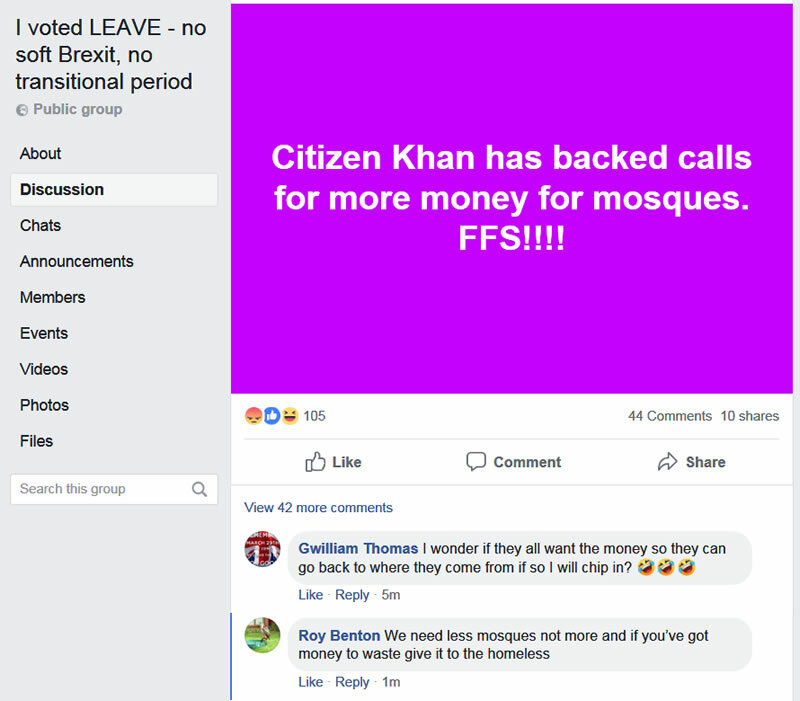 UKIP's embrace of the likes of Tommy Robinson (fake name) has fuelled one of Britain's foremost hate preachers to reach a broad audience many of whom are increasingly being radicalised into committing acts of violence, though thank fully given Britain's tough gun laws ensured nothing on the scale of New Zealand terror attack. One such attack that was widely reported on by the mainstream media was in London last week near Heathrow airport where a white male after an near hour of hurling racist and white supremacist abuse on the street at passers by including "death to all muslims","I want to kill muslims", and "this is for Tommy Robinson" as reported on by witnesses, eventually went and stabbed an asian teenager in a nearby Tesco car park. Home Secretary Sajid Javid commented “We must stand together as a society and reject the terrorists and extremists who seek to divide us. “Now’s the moment for us all to challenge the hatred, ignorance and violence they peddle and stand up for the kind of country we are and want to be. A welcoming, tolerant, proudly diverse country that draws strength and prosperity from that diversity." The far rights near total takeover of UKIP, the party that played a pivotal role in delivering a LEAVE victory at the June 2016 EU Referendum under Nigel Farage's leadership. Which given the collapse in it's electoral support from a high of 18% to today's polls barely registering 5% support ensures that should there be a 2nd EU referendum then there is virtually ZERO chance that LEAVE would win a new referendum. Even if Nigel Farage manages to get his new BrExit party off the ground. As today's UKIP's primary objective is no longer for the UK to LEAVE the EU but to perpetuate and magnify hatred of all things muslim, that even resulted in UKIP's former leader Nigel Farage resigning membership of the party in the wake of its growing obsession with Islamophobia, increasingly embracing right wing extremist ideologies most notable of whom are Tommy Robinson (fake name) and Katie Hopkins, as UKIP continues to trend towards becoming BNP 2.0. 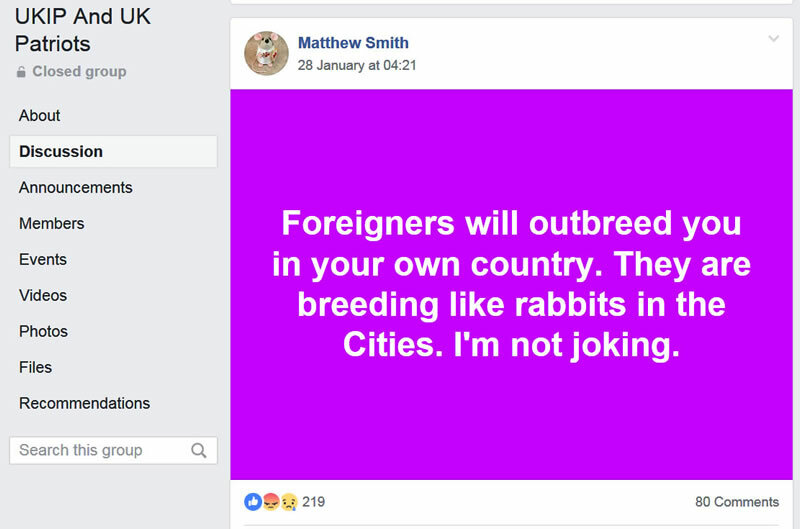 Which soon becomes apparent when visiting any of the popular UKIP facebook groups, that UKIP / BNP 2.0 is no longer a party focused on the UK leaving the EU but rather in disseminating hatred of muslims with many similar tropes posted as found at the heart of the right wing extremist terrorist's so called manifesto focused on the 'Great Replacement'. 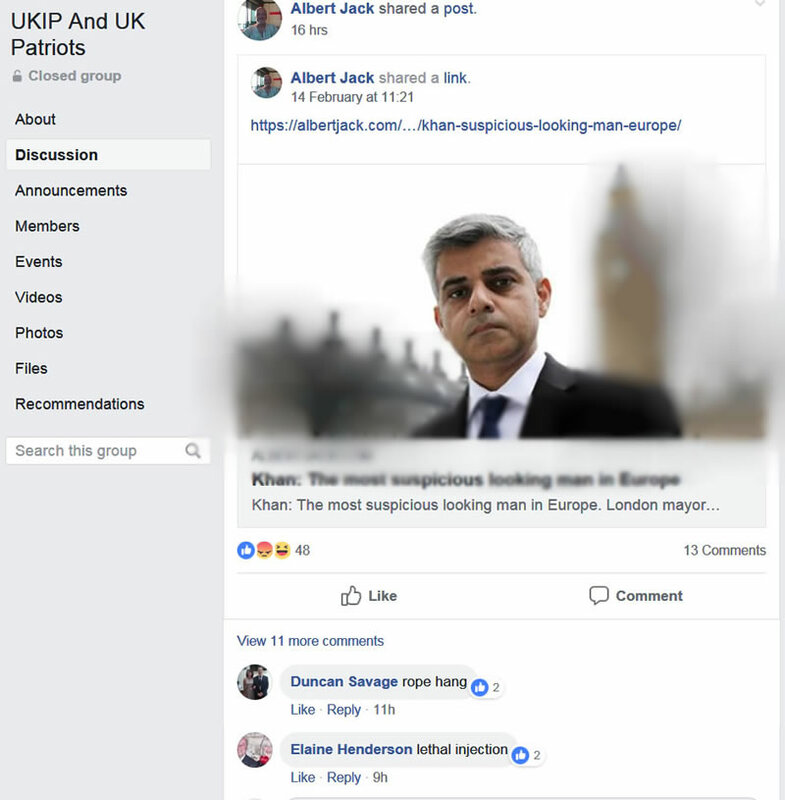 Apparently UKIP / BNP 2.0 have a particular hatred of London's Lord Mayor, Saddique Khan. 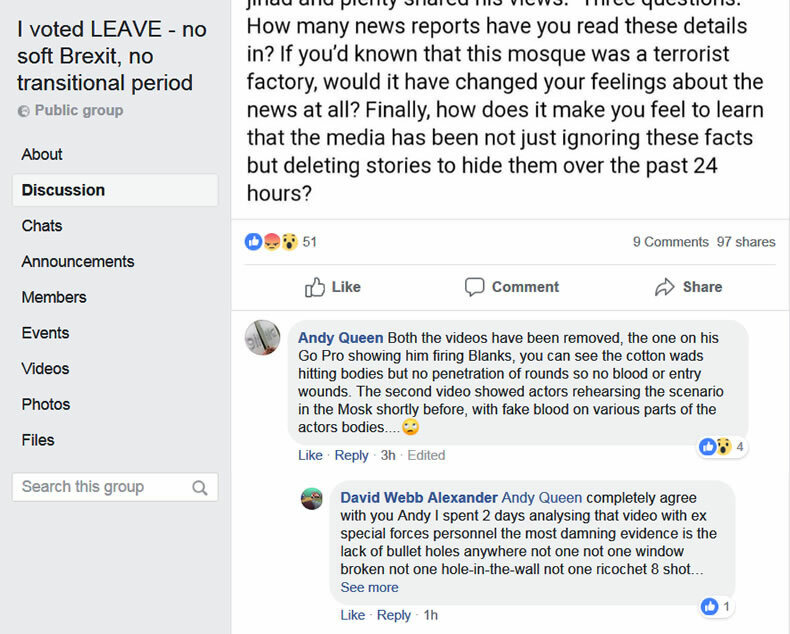 Whilst others revel in conspiracy theories that blame the victims by implying they were terrorists (Milo Yiannopolous) and that the Al Noor mosque was a terrorist factory and thus implied they deserved being killed. 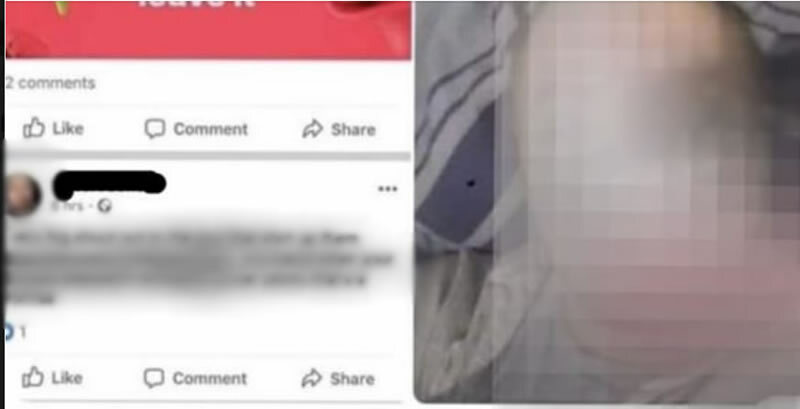 Whilst others peddle a narrative that the New Zealand attacks were faked, that the killer in the video was firing blanks. Fake blood, actors rehearsing a scene, no bullet holes etc. With one UKIPer in Oldham Manchester crossing the line and actually heaping racist praise on the terrorist who was promptly arrested for by Manchester Police. The post has been deliberately blurred so as to avoid the spread of his hate speech. However, the consequences of the transformation of UKIP into BNP 2.0 in that in my opinion it is now be near impossible for LEAVE to win a Second EU Referendum which appears to be the most probable outcome out of Britain's ongoing BrExit chaos. The fundamental error that UKIP and similar right wing Brexit campaign groups are making is that by embracing the likes of Tommy Robinson they now solely appeal to die hard right wing Brexiteers, who are just a small minority of those who voted LEAVE. Instead elections are WON at the MARGINS and where the EU referendum is concerned, given its binary choice had a huge margin of 4 million voters, likely none of whom are far right so UKIP and Tommy Robinson have effectively now KILLED the chances of LEAVE winning a Second EU Referendum. For instance 40% of British muslims (900,000) voted to LEAVE and thus swinging the outcome FOR Brexit as the swing from REMAIN to LEAVE was just 625,000 votes. I am sure many Brexit voting muslims are now watching the antics of UKIP and Tommy Robinson and be feeling themselves akin to having been Turkeys voting for Christmas! And this is just one example of what could turn into a rout of several million voters towards REMAINs favour. So even if Nigel Farage's new BrExit party is able to rescue some of the electoral damage done by UKIP, however it is unlikely to avoid a massive defeat for LEAVE. Which before a second referendum is even announced I would imagine the outcome would be along the lines of REMAIN winning on 54% with LEAVE on 46%, in large part courtesy of the likes of UKIP and their embrace of far right fake name characters such as Tommy Robinson as well as the establishment mobilising to obtain their desired outcome of the UK Remaining in the EU. So it appears that the best hopes for any sort of Brexit is for Parliament to eventually end up delivering a SOFT WEAK BREXIT because if there is a Peoples Vote then REMAIN would win by a comfortable margin as a NO DEAL BrExit appears to have been taken off the table given the failure for the UK to LEAVE the EU today. Here's a quick heads up on what I am currently working on. I aim to complete two further pieces of analysis before the end of March that will first be made available to Patrons who support me work. 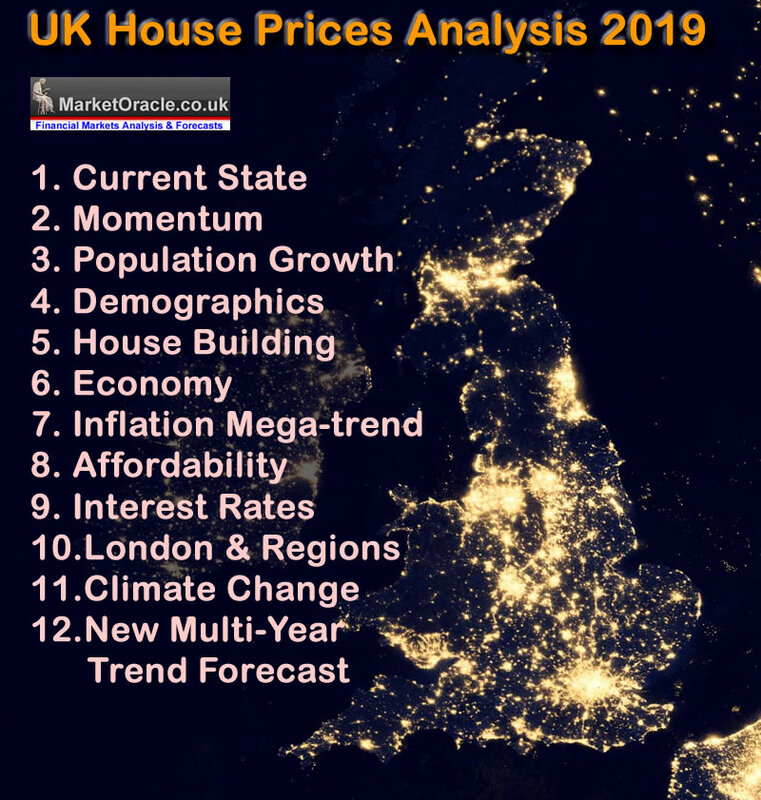 Firstly a continuation of my UK house prices series of analysis, with my fifth piece seeing if house building says anything different to my preceding analysis that continues to paint a bullish picture for UK house prices for many years. My second analysis will update the list of stocks to profit from the rise of the machines! Yes. I am afraid homo sapiens are doomed! The stories that humans have been telling and believing to be true for the past 70,000 years or so are are about to come to a shuddering halt as we give way to the machine intelligence. So no more stories of human empires rising and falling to give way to the next human empire all running on the same capacity hardware. With perhaps China to be the last homo sapien empire to rule this planet! Anyway, until then we're going to try and profit from this unfolding multi-decade machine intelligence mega-trend, with the time to invest being NOW! Because we are only about 3 YEARS away from the time when general machine intelligence over takes general human intelligence after which it's off to the races. As whilst we like to imagine great differences between individual humans, in reality there is very little difference in intellect between say Einstein than the average human, which just goes to show what a small difference can make, now compare that to machine intelligence with exponential intelligence growth rate that is millions of times that which evolution is capable of delivering as my following video illustrates EVERYTHING IS GOING TO CHANGE! 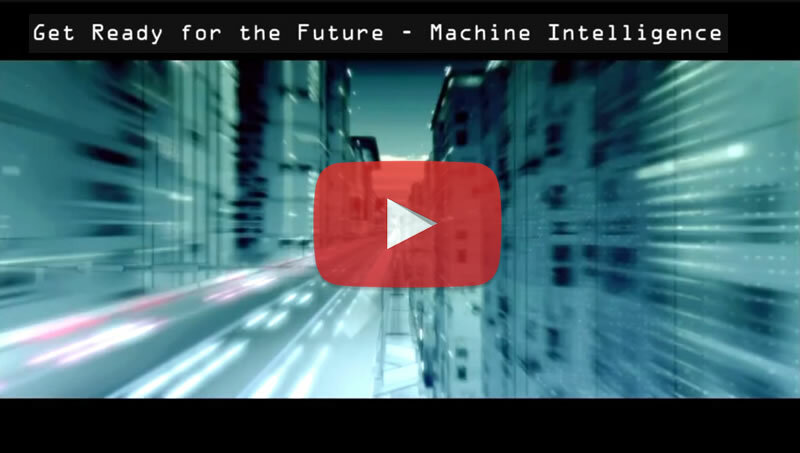 I will endeavour to get the first of a series of machine intelligence stock investing pieces out before the end of March. To be followed early April with an update on my stock market trend forecast. Meanwhile it's difficult to pull oneself away from the unfolding chaos in Westminster as the worst Prime Minister in British history continues to cling on to power, even though she no longer has ANY NO POWER LEFT! CHAOS! For immediate First Access to ALL of my analysis and trend forecasts then do consider becoming a Patron by supporting my work for just $3 per month. https://www.patreon.com/Nadeem_Walayat. Results of todays vote on May's deal "Withdrawl Agreement"
Which means an extension of possibly 2 years is likely so as to arrange and hold a 2nd EU referendum, that in my opinion looks likely to go REMAINs way Unless something major changes in terms of UKIP dynamics i.e. Nigel Farage resume leadership and purges the party of extremists.